month in locally owned businesses over $1,000,000 more would be put back into the local economy. $20 Tuesday kicks off Tuesday October 7th and will take place the 1st Tuesday of every month. Visit a local Bethel Store and spend $20! If they are not a participant of the $20 Tuesday that's ok spend it there anyway and tell them they need to get on board. All Proceeds Benefit the Joshua Foundation, Inc. The fun kicks off with a Magic Show by Danny Diamond at 1:00pm in the Municipal Center G.P. Room. 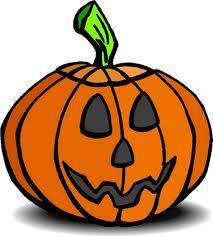 Followed by a Halloween Bash on the front lawn of the Municipal Center and Trick or Treating along Greenwood Ave. Businesses and Local Organizations are invited and encouraged to participate in the celebration by setting up a table on the lawn of the Municipal and offering a festive activity. If you are interested in setting up a table click here to register. Come and enjoy a day in New York City on Sunday, November 16th. The day will include the Christmas Show at Radio City Music Hall and time to look around the city. The bus depart from the Municipal Center at 7:00am for a 10:00 am show. Departure from the city will be at 4:00 pm to allow time for seeing some of New York’s sights. Be sure to make your reservations early, as tickets are limited to 55. You will also receive a free soda and popcorn at Radio City for every ticket purchased.